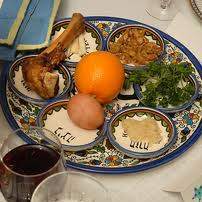 The SoCal Arbeter Ring Community will join in celebrating peysakh/Passover, the traditional celebration of freedom, with a potluck Seder Sunday, April 5, at 1:00 PM at our Center, 1525 So. Robertson Blvd. Our Seder is traditionally a high-point of the year, as we join in reading our up-to-date hagode/Hagada and in singing the familiar songs of both the Jewish tradition and the freedom songs that unite all humanity in the struggle against modern Pharoahs. Reservations—for members, families and friends—must be made by Monday, March 30 via telephone (310/552-2007), email (circle@circlesocal.org) or by Postal Service mail. Reservations MUST include a phone number or email address. Participants will be asked to bring enough of any of the following items for themselves and three others: matzo, wine or juice, salad or side dish, chicken or vegetarian main dish. While there will be no admission charge, participants are asked to make contributions to cover the non-food costs of the event and to maintain our Center. New Vanguard Branch 1016 and Sholom Branch 1089 will join in this event.